Tante Marie Culinary Academy, the UK’s first independent culinary training establishment, has announced the introduction of a new industry standard, the CTH Level 5 Diploma in Culinary and Hospitality Management. The pioneering Level 5 Diploma was launched on Thursday 2ndApril 2015, coinciding with the opening of the new ‘Restaurant at Tante Marie’ in central Woking. The CTH Level 5 Diploma, developed in partnership with the Confederation of Tourism and Hospitality (CTH) is the first of its kind to offer a solid foundation in all aspects of running a successful hospitality business delivered entirely through time spent in the workplace. The year-long, practical training programme is open to graduates of Tante Marie’s highly acclaimed Cordon Bleu Diploma and CTH Level 4 Diploma qualifications, wishing to apply their culinary skills in a commercial environment. 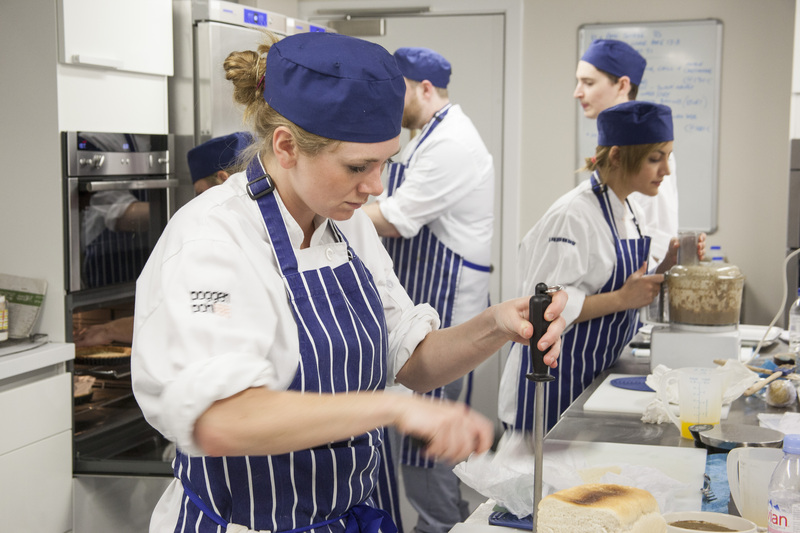 Based in the Academy’s new training restaurant, The Restaurant at Tante Marie, the apprentices will learn essential skills including how to actively run and grow a business, managing staff and running a professional kitchen. The Level 5 Diploma will be taught over a minimum 12 month period incorporating the following five core units: customer relationships and marketing in hospitality management; business principles and governance in hospitality; human resource management in hospitality; procurement and management of kitchen resources; and professional kitchen management.